Free Printable Recipe Binder: 25 Fab Pages for Your Kitchen! A recipe binder is one kitchen essential that will help you organize all you favorite recipes . Are you keeping one for yourself already? Not yet? 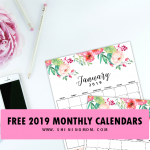 Right now on the blog, I am sharing away a beautiful, beautiful free printable recipe binder kit where you can keep your entire recipe collection in one place! Ready your printer, pens and paper and dig in to today’s little project that is both pleasurable and truly practical—yes, a DIY recipe binder that you can truly call yours! 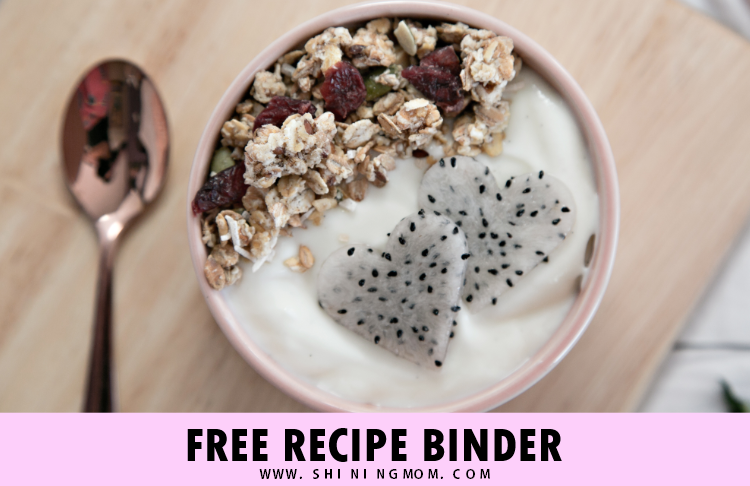 Think of this free printable recipe binder as a personalized cookbook binder where you can keep all the recipes you love and you like to try! This recipe binder has 25 practical pages that you can use, all for FREE. Now you can write your own favorite recipes or ask your friends to share theirs by giving them the recipe cards available in the kit and keep them in this one tidy binder. You can also collect your favorite recipes from the Internet, cookbooks and magazines and organize them here so that you know exactly where to find them when you need them. It’s time to have a binder of your favorite recipes today! Let’s get started! 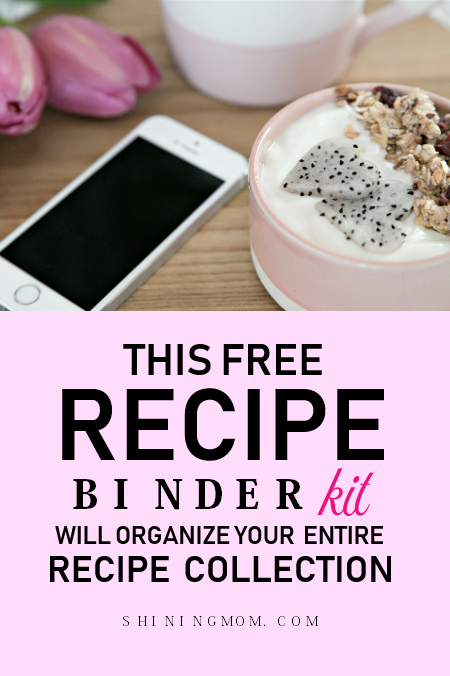 What’s Inside The Free Printable Recipe Binder? If you love to cook and to try new recipes but you don’t have a recipe binder yet, I’m pretty sure you’ll love to have this whole new kit! Yup, this binder is great to use to hold your wide collection of favorite recipes, so you won’t forget or misplace any. So if you wish to organize your recipes in one pretty spot, this little binder can surely help you sort things out. I know how stressful it can be to look around for that recipe you tried before and you wish to try again… but you just can’t find it! 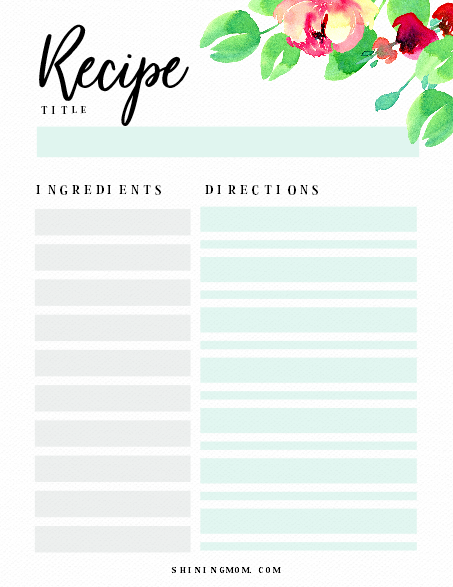 This free printable recipe binder is a personalized kitchen binder where you can keep ALL your favorite recipes in on spot. Recipe Binder Dividers & More! Scroll down as I give you a little peek to the pages I have for you. This time can be the best time to finally have a recipe binder of your own. Are you ready? There are 2 binder cover designs included in the kit. 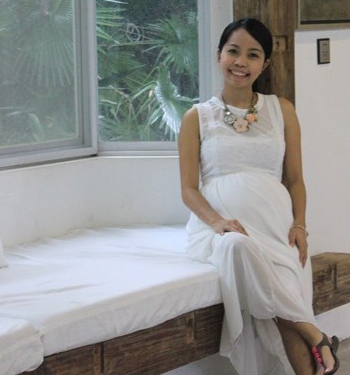 The first one comes in dainty florals while the second one is inspired by the greeneries of nature. Which one do you like to use? Running out of time but you wish to prepare something special for your family that you can do in a snap? 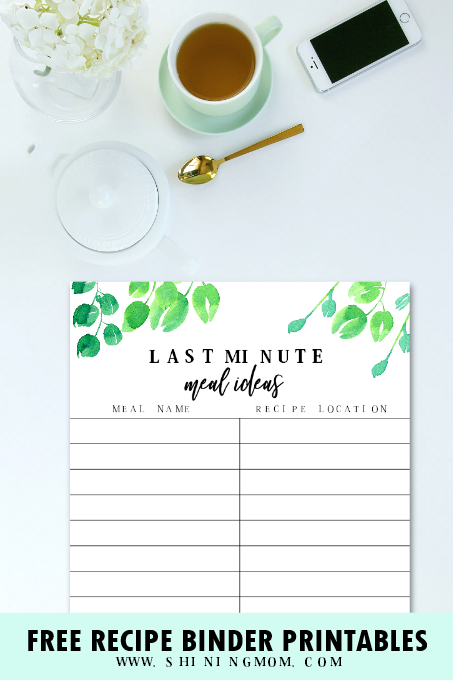 Write down your collection of easy-to-prepare meals right in this pretty page! Do you have a special recipe of your own? The next pages you’ll find in the free printable binder kit are beautiful recipe cards for your recipe keeping. Simply write the recipe name, ingredients and directions and you have your favorite recipe preserved for you to use and for the future generation to enjoy. There are 3 different recipe card deigns that you’ll find in this printable kit. You may also use the cards to share your special recipe to your friends. Here’s a sample recipe card included. Well, how do you like it? Last Minute Meal Ideas, Breakfast Ideas, Dinner Ideas and More! Keep your amazing meal ideas in pages like the one shown below so you’ll never run out of something special to prepare! 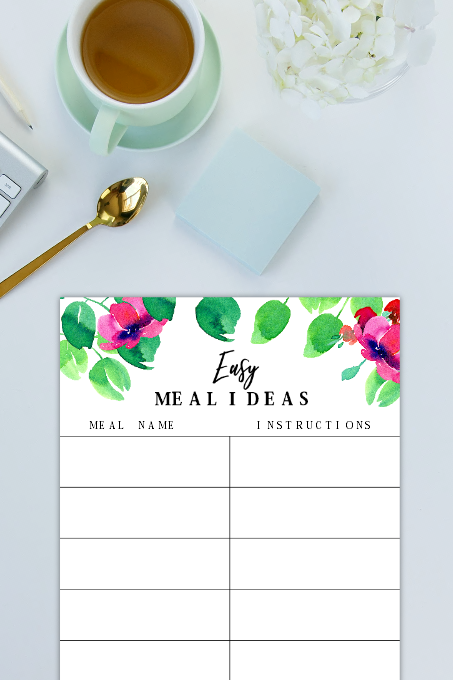 The next pages that you’ll find in the free printable recipe binder kit are beautiful meal ideas holder so you can snag them anytime you need. All these, and so much more! 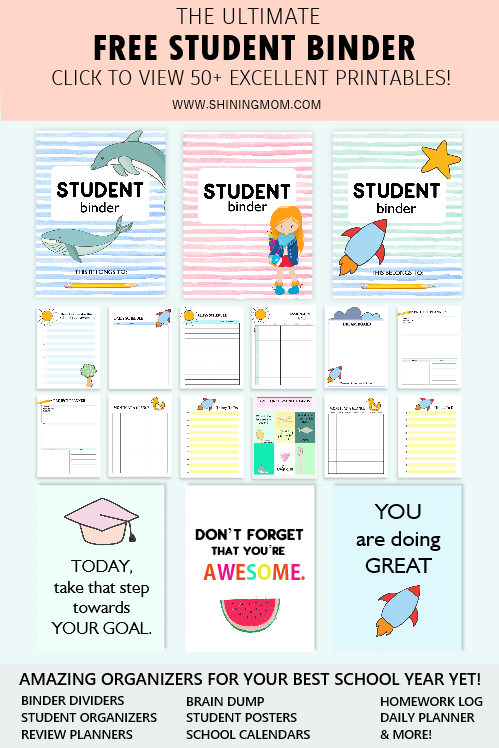 As I have said, the entire kit has over 25 printable pages that you can all use for free! Really, this entire recipe binder kit will help you organize your entire recipe collection. Cooking is one of the things that I love doing for my family. There’s no other person in our little abode who prepares food but me! Happily, my boys always love what I have for them. I LOVE trying new recipes and sometimes experimenting on my own! 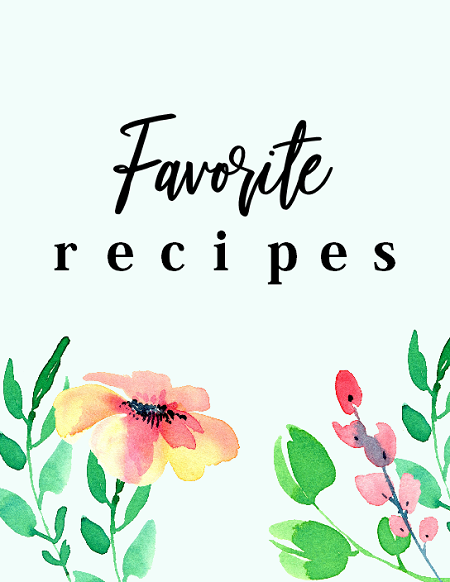 But I’ll be very honest, I don’t have a dedicated binder of my favorite recipes, which makes it sometimes hard for me to look for them when it’s time I like to start cooking a special recipe. And so today, I’ve finally decided to get the job done. My mission? To keep my favorite recipes in ONE SPOT. Would you like to join me, too? This whole kit of DIY recipe binder printables is a great way to get started! 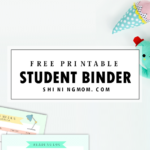 Receive the entire binder file by joining the Shining Mom mailing list HERE. 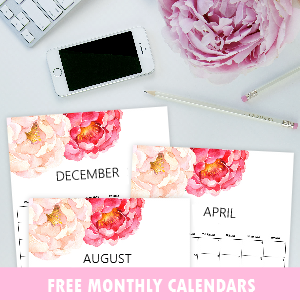 Joining the mailing list will give you updates to the latest freebies available on the blog. Worry not, you can unsubscribe anytime! Print the binder pages in 8.5×11 inches paper or the standard US Letter size. Be sure to change your printer setting to “FIT” so you won’t see white borders in your printout. You may also print this binder in A4 paper, just be sure to adjust your printer setting. 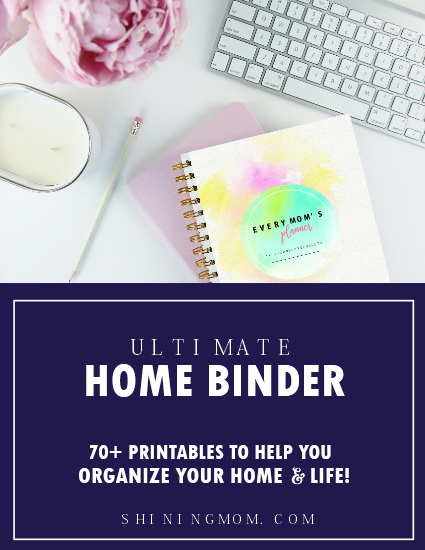 Organize the printables in one pretty binder! 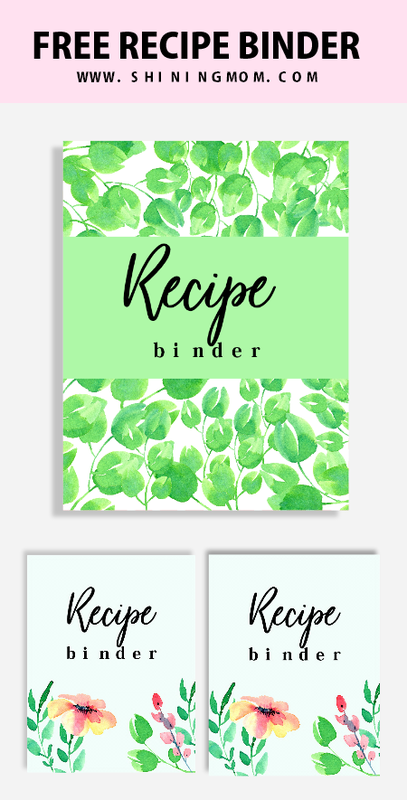 Loving this Recipe Binder? 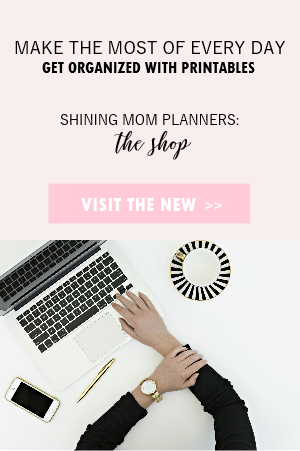 You’ll Love the Mom Planner, Too! 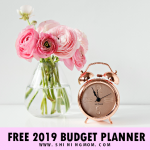 If you love this free printable recipe binder, I am so confident that you’ll also love the Shining Mom flagship planner for every mom. 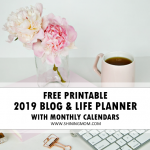 If you’re a momma looking for a system to help you manage a blissful, organized and abundant home, then this pretty planner is for you. 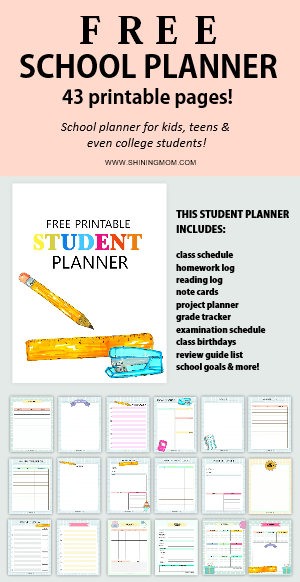 Get the mom planner now or learn more about it here. Spread the Love. Pin this Post! Help others discover this freebie by pinning the image below on Pinterest. You’ll also help Shining Mom grow that way. A huge thanks! 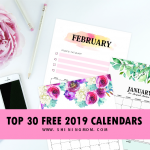 Lastly, if you’re looking for more freebies that will help you stay organized and productive, here’s a shortlist of the favorite posts on the blog that you, too, shouldn’t miss! Have an amazing day. Thanks for following along! 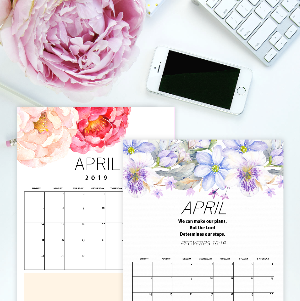 « April 2018 Calendars: Beautiful Designs, All Free!